We are very content with the tour we made. The guide Robert was excellent, the service provided by Bai was excellent. We had very good bikes. It has been a wonderful experience for us. Kyle arranged a wonderful trip for us; we had a great time and have seen beautiful places. 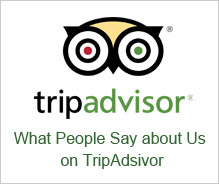 I am very satisfied with the service ETC travel provided to us, all scheduled arrangements worked out very well. The trip was very interesting and very well organized. We enjoyed seeing a totally different part of China. 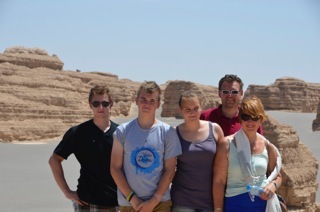 We travelled with your organisation from Datong to Xian, from august the 7th up to the 11th.We were with 5 people. All was so good organised and the bus was wonderful. The quide , mr Wong and the chauffeur where very friendly en coöperative.